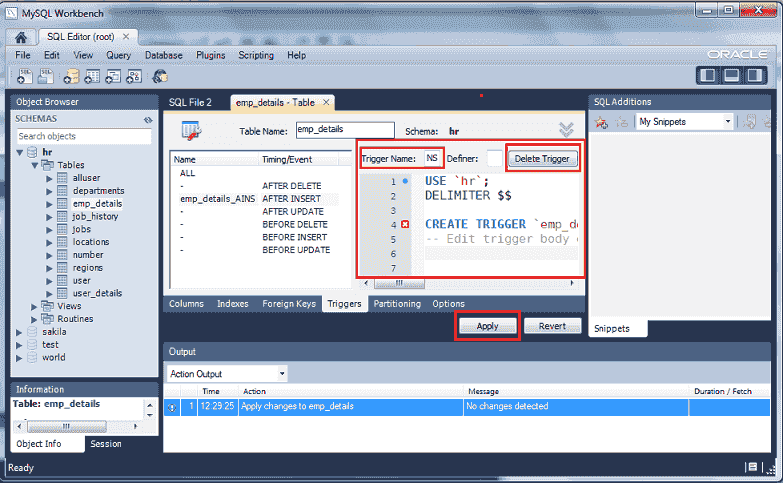 A trigger is a set of actions that are run automatically when a specified change operation (SQL INSERT, UPDATE, or DELETE statement) is performed on a specified table. Triggers are useful for tasks such as enforcing business rules, validating input data, and keeping an audit trail. How MySQL handle errors during trigger execution? Generate a unique value for a newly-inserted row in a different file. Faster application development. 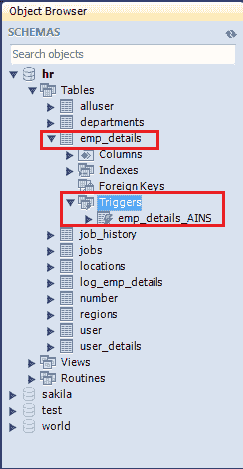 Because the database stores triggers, you do not have to code the trigger actions into each database application. Improve performance in client/server environment. All rules run on the server before the result returns. 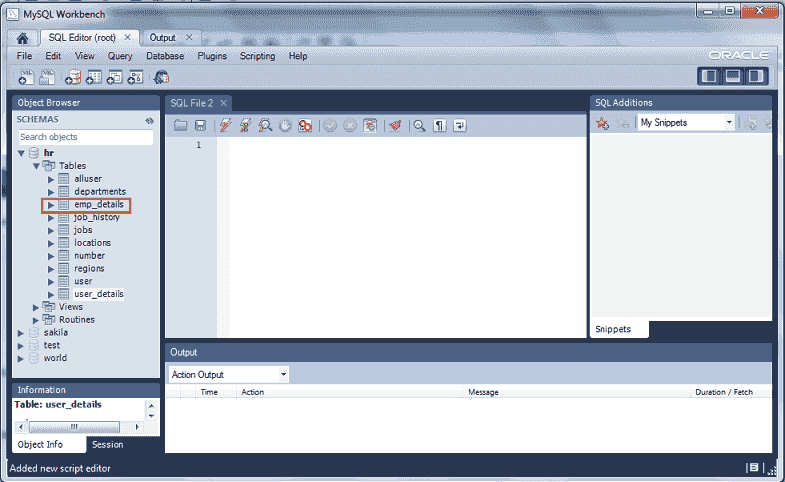 Implementation of SQL triggers is based on the SQL standard. It supports constructs that are common to most programming languages. It supports the declaration of local variables, statements to control the flow of the procedure, assignment of expression results to variables, and error handling. 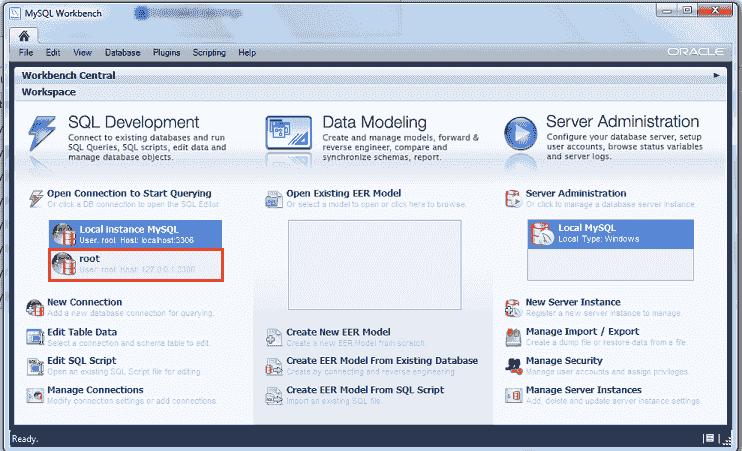 How to create MySQL triggers? 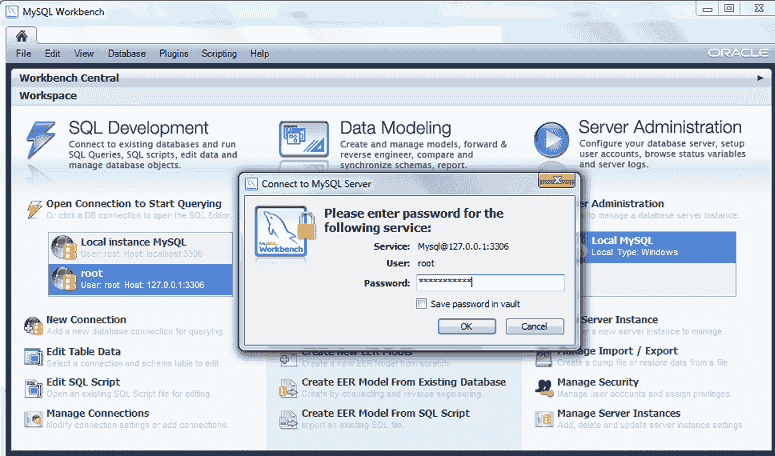 DEFINER clause: The DEFINER clause specifies the MySQL account to be used when checking access privileges at trigger activation time. If a user value is given, it should be a MySQL account specified as 'user_name'@'host_name' (the same format used in the GRANT statement), CURRENT_USER, or CURRENT_USER(). The default DEFINER value is the user who executes the CREATE TRIGGER statement. This is the same as specifying DEFINER = CURRENT_USER explicitly. If you do not have the SUPER privilege, the only permitted user value is your own account, either specified literally or by using CURRENT_USER. You cannot set the definer to some other account. If you have the SUPER privilege, you can specify any syntactically valid account name. If the account does not actually exist, a warning is generated. Although it is possible to create a trigger with a nonexistent DEFINER account, it is not a good idea for such triggers to be activated until the account actually does exist. Otherwise, the behavior with respect to privilege checking is undefined. trigger_name: All triggers must have unique names within a schema. Triggers in different schemas can have the same name. trigger_time: trigger_time is the trigger action time. It can be BEFORE or AFTER to indicate that the trigger activates before or after each row to be modified. 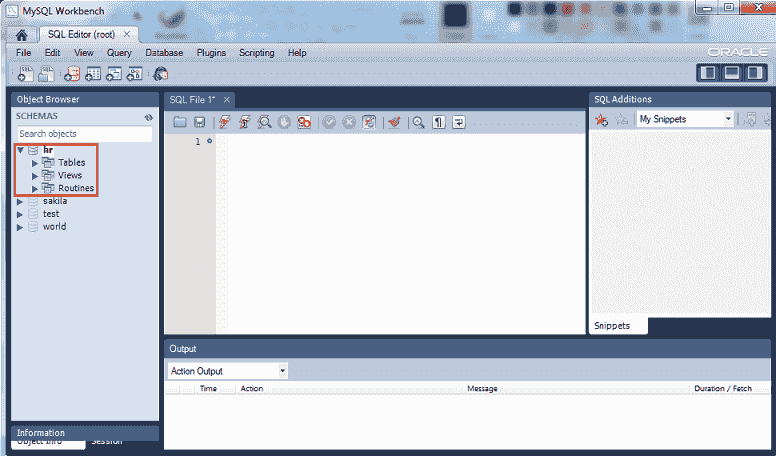 The trigger activates whenever a new row is inserted into the table; for example, through INSERT, LOAD DATA, and REPLACE statements. The trigger activates whenever a row is modified; for example, through UPDATE statements. The trigger activates whenever a row is deleted from the table; for example, through DELETE and REPLACE statements. 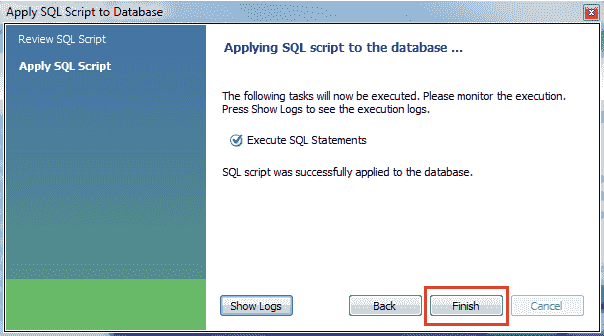 DROP TABLE and TRUNCATE TABLE statements on the table do not activate this trigger, because they do not use DELETE. Dropping a partition does not activate DELETE triggers, either. 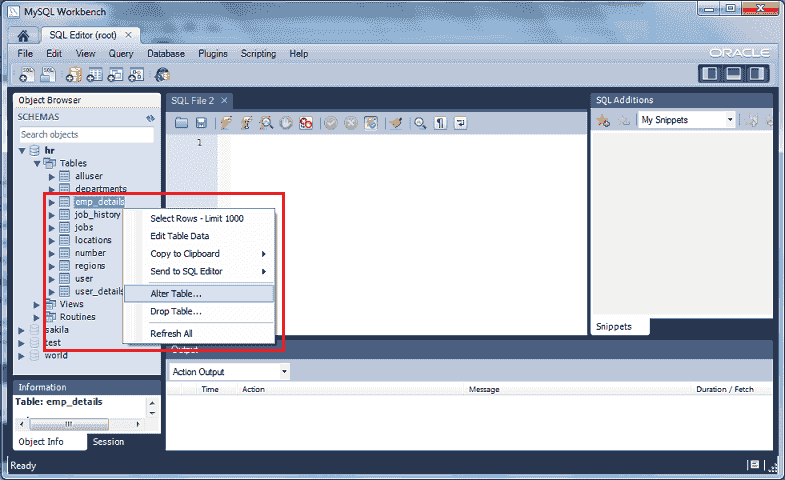 tbl_name : The trigger becomes associated with the table named tbl_name, which must refer to a permanent table. You cannot associate a trigger with a TEMPORARY table or a view. trigger_body: trigger_body is the statement to execute when the trigger activates. To execute multiple statements, use the BEGIN ... END compound statement construct. This also enables you to use the same statements that are permissible within stored routines. In the above example, there is new keyword 'NEW' which is a MySQL extension to triggers. 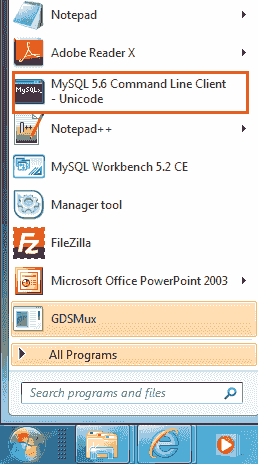 There is two MySQL extension to triggers 'OLD' and 'NEW'. OLD and NEW are not case sensitive. In an INSERT trigger, only NEW.col_name can be used. In a UPDATE trigger, you can use OLD.col_name to refer to the columns of a row before it is updated and NEW.col_name to refer to the columns of the row after it is updated. In a DELETE trigger, only OLD.col_name can be used; there is no new row. 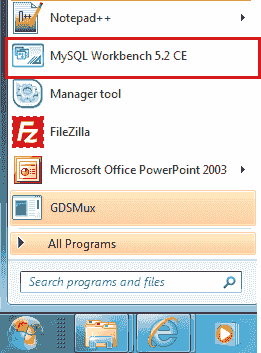 You can write a procedure in MySQL command line tool or you can use MySQL workbench which is an excellent front-end tool (here we have used version 5.3 CE). Now click on Trigger tab in the previous section, then select the Timing/Event it may be AFTER DELETE, AFTER INSERT, AFTER UPDATE or BEFORE DELETE, BEFORE INSERT OR BEFORE UPDATE. Let we select AFTER INSERT, you also notice that there is a button Add Trigger. After completing the code, click on apply button. Note: See a new text Delete Trigger has come in Add Trigger button. Clicking on this you can delete the trigger. This the final window before finish. Let click on Finish button. - If there are any space(s) before or after the FIRST_NAME, LAST_NAME, TRIM() function will remove those. - The value of the JOB_ID will be converted to upper cases by UPPER() function. We have two tables student_mast and stu_log. student_mast have three columns STUDENT_ID, NAME, ST_CLASS. stu_log table has two columns user_id and description. We have a table student_marks with 10 columns and 4 rows. There are data only in STUDENT_ID and NAME columns. Now check the STUDENT_MARKS table with updated data. The trigger show you the updated records in 'stu_log'. Let delete a student from STUDENT_MAST. 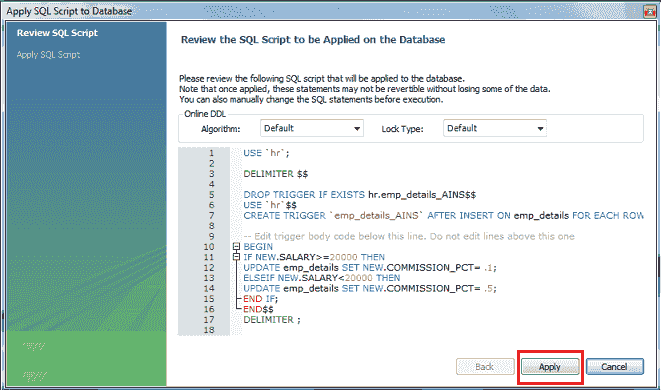 For transactional tables, failure of a statement should cause a rollback of all changes performed by the statement.